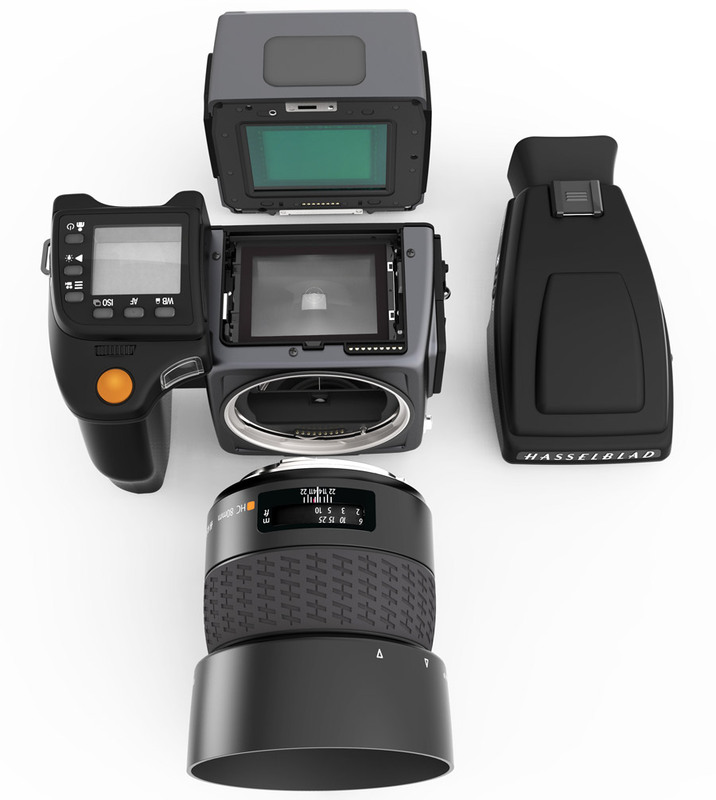 Hasselblad has pulled back the curtain on a new line of medium format camera systems. The H6D range has been completely rebuilt with new technical components and an all new electronic platform, the company says. It will be compatible with the firm’s H lenses. The line will include the company’s first 100-megapixel CMOS back, the H6D-100c as well as a 50-megapixel CMOS back, the H6D-50c. The H6D 50c will share most of the same specs as the 100c only with a lower-resolution, 50-megapixel sensor. It will have less dynamic range, at 14 stops, and a native ISO range of 100-6400. The 50c will only record HD video, not 4K. Hasselblad says the 50c will have a still photo capture rate of 1.7-2.3 fps. It has yet to publish the spec on the 100c’s capture rate. Details on the updated camera body weren’t immediately available, but judging from the images released by Hasselblad, there’s a top display screen and a more pronounced handgrip. Hasselblad is also releasing an updated line of lenses to support shutter speeds up to 1/2000 sec. The new, faster lenses will wear an orange marking to distinguish them from the older versions. The H6D-50c will retail for $29,995 and the H6D-100c will retail for $32,995. Posted in News Photography Review and tagged with 100-megapixel creative hall studio Hasselblad HASSELBLAD H6D MEDIUM FORMAT Medium Format System photography photography project .